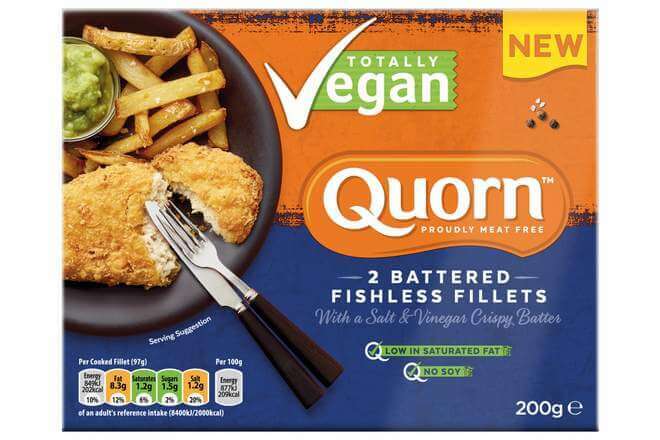 Meat-alternative brand Quorn has just announced the release of two brand new product in its vegan range – ‘fishless’ vegan cod fillets. Meat-alternative brand Quorn has long been known for its wide range of vegetarian meat-free products, and the company has been on a mission in recent years to increase its vegan range with the launch of innovative new vegan products – which now make up 12% of the company’s range. After releasing vegan-friendly Cumberland sausages and ‘chicken’ and ‘ham’ style deli slices last year, Quorn has just announced the release of brand new products that replicate the taste and texture of fish fillets. 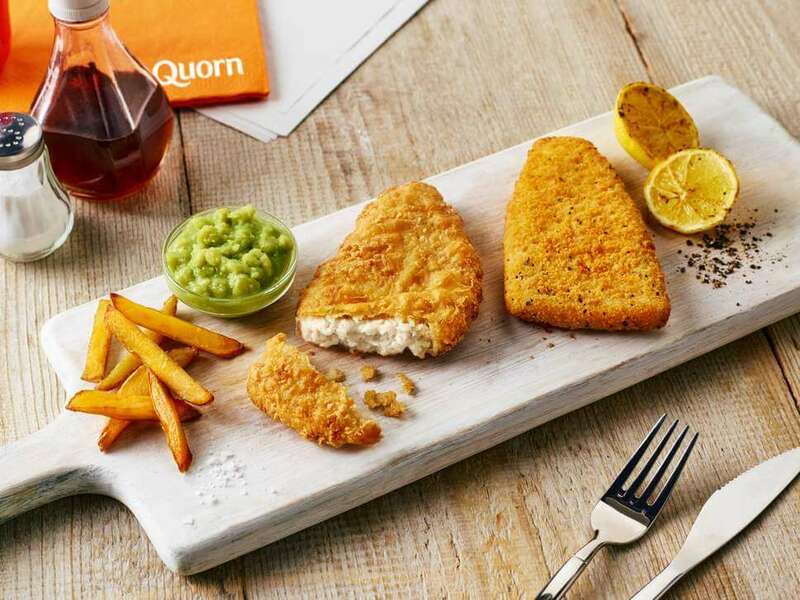 Quorn’s Fishless Fillets will be available in two varieties, Quorn Vegan Salt & Vinegar Battered Fishless Filets and Quorn Lemon and Pepper Breaded Fishless Filets, and will retail in a two-pack RRP £2.99. The fillets, which took five years to develop, will be made using a protein derived from fungus to give them their texture, whilst seaweed extract will give the fillets a realistic fish flavour. Geoff Bryant, the technical director at Quorn Foods UK, said: “For the first time ever, more than half of all UK consumers are reducing their meat consumption and 57 per cent of people believe that reducing meat benefits the environment. Quorn’s Fishless Fillets will be available in two varieties from March, Breaded and Battered, and will retail in a two-pack RRP £2.99.